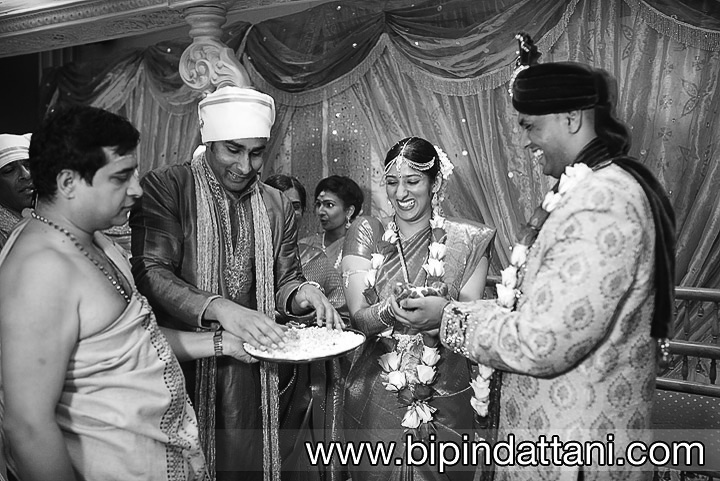 Bipin Dattani is a London based Indian wedding photographer, specialist in Indian and Asian weddings throughout London and the UK. 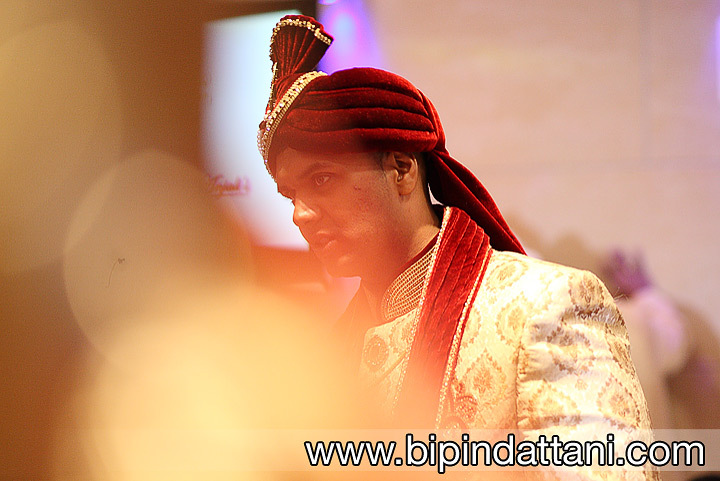 This superb Indian wedding took place at at Saffron D’or, London (Southall). Anjali and Priyank’s requested me to document their Indian wedding photography last year in a natural, candid manner and try to create luxury award winning pictures! 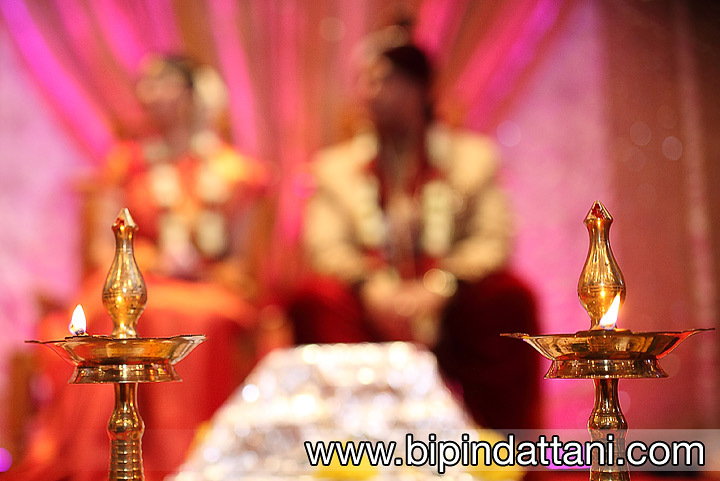 Both families originates from South India, the priest was specially invited from the South Indian Temple in Birmingham, the elegant mandap setup with the Indian wedding split into a South Indian Hindu Wedding ceremony and evening reception across one day. How could I fail to capture images that could win wedding photography awards. ‘Indian Wedding Photographer of the Year‘ would be a nice title to hold so some of the images will be entered into the weddingsutra awards competition, one of the world’s leading wedding photography competitions. Anjali got ready as any bride would do with flowers in in the hair aka Alia Bhatt and Arjun Kapoor’s wedding scene from the movie 2 States, shot at the Mahabalipuram Shore Temple, India which is UNESCO World Heritage site.